We really like our Hitchhiker II LS 5th wheel. However, we’re missing a few extras that the newer rigs have. A couple of months ago we decided that for the foreseeable future we’d like to make a few upgrades and keep our current 5th wheel. The biggest upgrade for us was adding a power leveling system. We found that the Bigfoot Leveling System by Quadra was highly regarded by most everyone. This is a powerful hydraulic system. They make a fully automatic system – just push the button and it figures out what is level by itself. We opted to save nearly $900 and install a single pump, manual, four jack system. 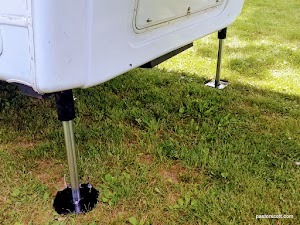 With this system you have a remote control and using the bubble levels already mounted on the camper you level the camper. The guys at the factory told me our 5th wheel was a bigger project than many and it took a day and a half to do the install. The good folks at Quadra were nothing but helpful and professional. They even let us sleep in the camper while it was parked overnight inside their facility. This is a new system for us, but we found ourselves on a rather un-level site our first night out with it. It took just a minute or so to bring the camper perfectly level. Jackie and I were both all smiles watching it work! 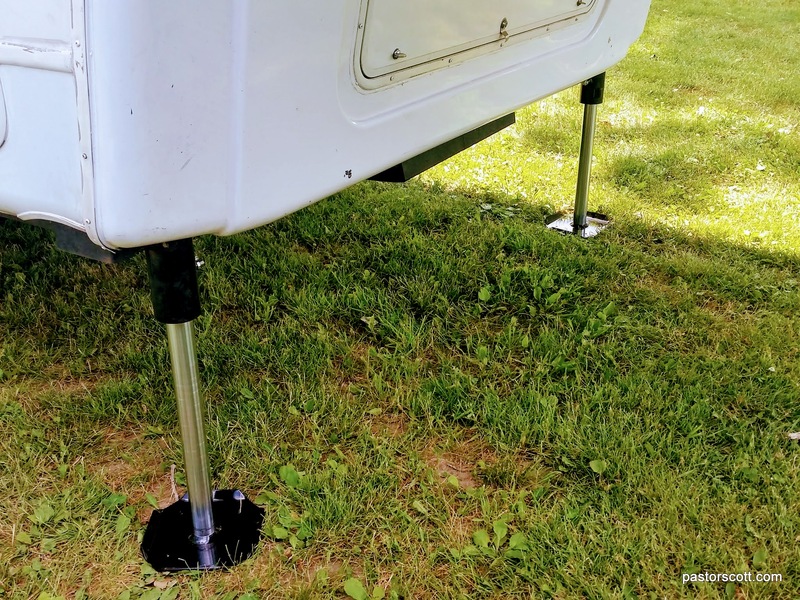 This entry was posted in Scott and tagged camping, Michigan, product, projects, review, upgrades. Bookmark the permalink.